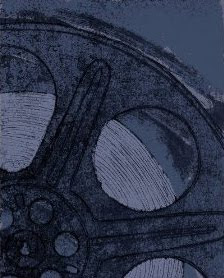 Movie Treasures By Brenda: Who Was Humphrey Bogart? The release of the movie The African Queen on blu-ray also had me curious to know a bit more about Humphrey Bogart. He, like Katharine Hepburn, was a movie legend who appeared in many film and stage productions; in thirty years, he appeared in 75 productions. The American Film Institute named Bogart the Greatest Male Star of All Time and he won an Academy Award for his role in The African Queen. The Film Institute also credits him with the most famous movie quotations on their top 100 list of quotes. I am pretty sure you would recognize all five quotes. They include, "Here's looking at you, kid" from Casablanca and "The stuff that dreams are made of" from The Maltese Falcon. A quick check reveals that one more of Bogart's movies than Katharine Hepburn's has made the transfer to blu-ray but that only means you have two to choose from, The African Queen and Casablanca. 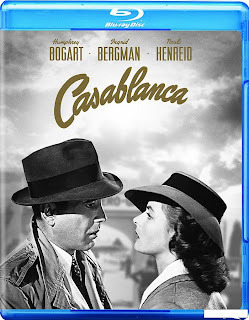 High-Def Digest says, that "Casablanca is a title you simply have to add to your Blu-ray collection." And The African Queen? It receives an equally positive review. I'll be back to write more on that movie later. It was good to discover that these two classic movies that have been given an excellent blu-ray transfer. Humphrey DeForest Bogart December 25, 1899 – January 14, 1957. His birthday, a subject of debate. Buy The African Queen or Casablanca on blu-ray or DVD from Amazon. Iron Man 2 Review ~~ Was It Good or Not? Are You Ready For Russell Crowe as Robin Hood? Can You Name These Top Five Movie Quotes?? ?